Video remixing for customers, fans and followers. Easy for fans to engage with your brand. 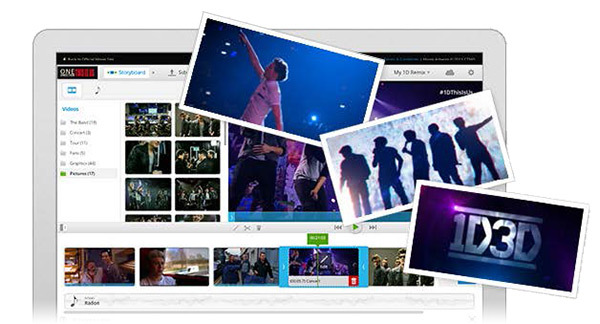 The WeVideo platform can be pre-loaded with brand content and offered for fan video remixing. We make it easy for you to turn fans into brand advocates on social media. Fan and customer engagement attracts and directs customers to your website. This engagement represents a huge opportunity to collect user data for CRM purposes. Releasing content for fan remixing is not equal to losing control. WeVideo fan engagement platforms are configured to publish user generated videos to specific sites and channels. Our recent campaigns have generated close to 1 million views in days. We support some of the largest marketers in the world. WeVideo offers a scalable and efficient platform for brand engagement. 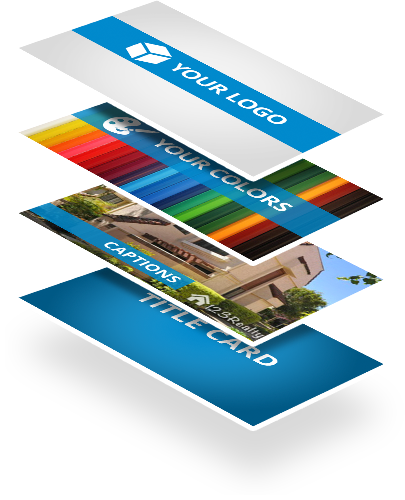 We have provided solutions to some of the largest brands in the world for more than 2 years. We ensure your videos get branded look & feel. 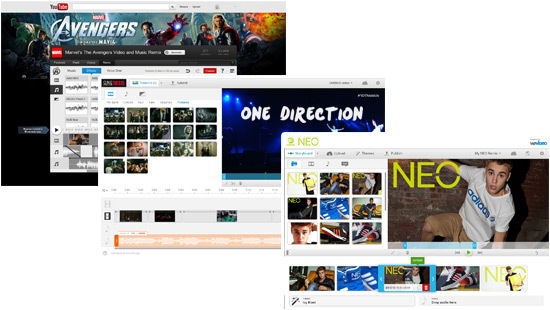 Our editing interface is highly configurable, and can be customized to streamline the user journey. We can limit the length of videos exported, and automatically append your watermark, bumper and call-to-action on exported videos. Our web platform can run inside an iFrame on your website or we can set up a dedicated location on our servers. All you need to do is provide the content for remixing. We���ll take care of the rest. We deliver on a per-campaign basis. Most of our fan engagement solutions are delivered on a per-campaign basis, with campaigns typically running for 2-6 weeks. We provide fixed pricing per campaign, including design, setup, hosting, video production and support.